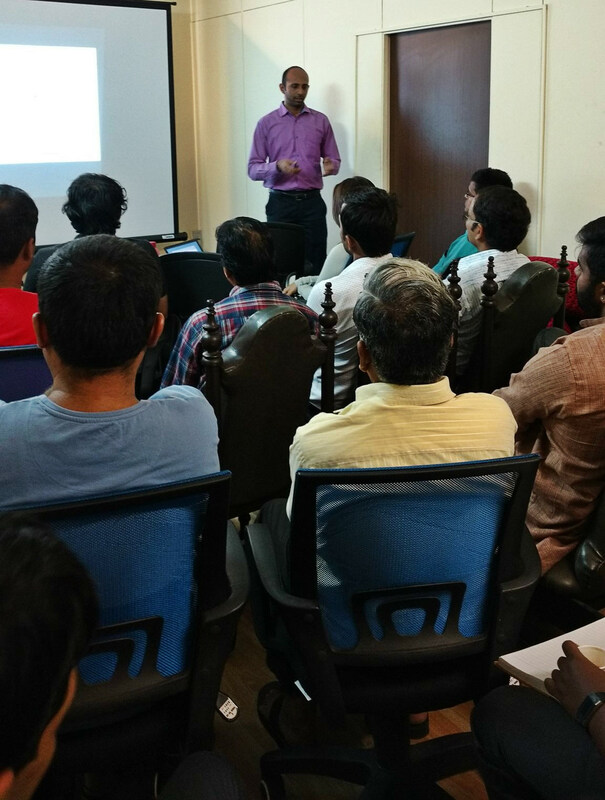 The fifth edition of the Digital Chai Pe Charcha was held at our office on 9th July 2016. It received a wonderful response with about 25 participants including entrepreneurs, professionals, digital marketers and social media influencers taking an active part. The topic of discussion was Measuring ROI from Digital Marketing. These are metrics that do not measure immediate business results such as brand awareness, customer engagement, customer satisfaction and brand reputation. Metrics you measure will depend on your business goals and objectives. For example, if your objective is lead generation, then you would measure metrics such as Leads/Enquiries Generated, Revenue from Sales, App Installs and Website Traffic. On the other hand, if your objective is brand awareness, then you would measure metrics like likes/fans/followers, reach, impressions, mentions, social engagement, likes/comments/shares and retweets/reposts. There are a number of tools available to measure the metrics mentioned above. They could be categorised as web, mobile, and social media analytics tools. There are a number of web analytics tools that you could use. You could use Google Analytics to understand details about the volume and quality of your website traffic. Tools like Kissmetrics, help determine advanced analytics on the behaviour of your users. For those of you have the mobile app for your business, tools like Mixpanel and Appsflyer help you learn how people use your app. It also helps draw insights from this data to optimize and improve your marketing for better ROI. These tools help you analyze the effectiveness of your social media marketing efforts by measuring metrics like likes/fans/followers, reach, impressions, mentions, engagement, likes/comments/shares and retweets/reposts. Social platforms like Facebook, Twitter, Pinterest, and LinkedIn have inbuilt analytics tools for marketers to analyze the effectiveness of their marketing efforts. Other advanced analytics tools for social media intelligence include Radian6 and Simply Measured. With the growth in mobile use globally, the number of leads coming through phone calls is increasing rapidly as compared to leads through web forms. In this scenario, it is important to use tools like Knowlarity and Exotel to track call leads effectively and attribute them to the right source. The simplest way to measure if ROI from a channel would be positive, is by checking if the Customer Lifetime Value (LTV) is greater than the cost of acquiring a customer through that channel. The table below will help you with a simplified framework to calculate LTV. For more details on LTV calculation, you can read our article on Customer Lifecycle Value vs Cost of Acquisition in E-commerce. Participants then did this analysis of LTV and cost of acquisition to calculate channel ROI for their businesses. They shared their learnings with the rest of the group. This was followed by an interactive discussion and Q&A session. What methodology do you use to calculate ROI from your digital marketing efforts? Do share your method, experience, and learnings in the comments below!